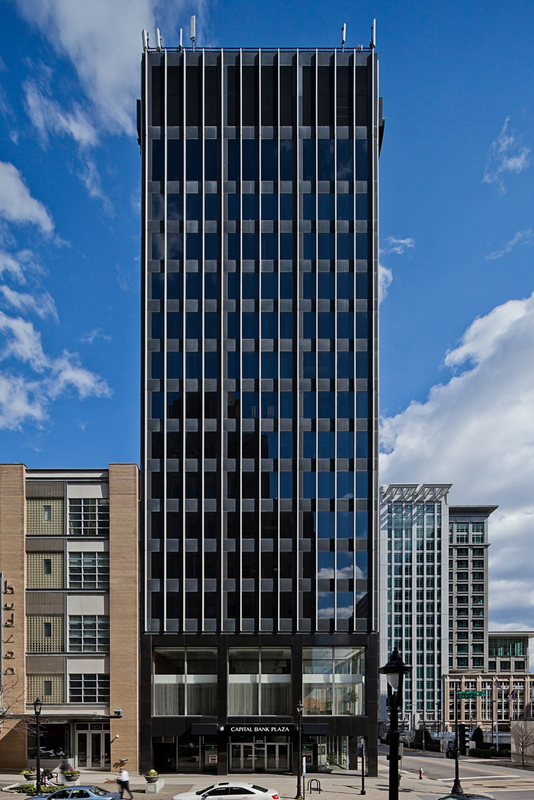 Recognized on the National Register of Historic Places as a local historic landmark of extremely well-preserved International Style architecture, Capital Bank Plaza is a full-service, Class-A, 15-story office building located in downtown Raleigh. Its owners and management strive to provide the highest level of service, attention and responsiveness to every tenant. Their goal is to create a pleasant working environment for everyone and to treat each individual entering the building with personal attention and respect. In recent years, the owners have made significant improvements to numerous important aspects of the building. As a result, the building’s operations and features now exceed many other Class A office buildings, including those recently constructed, in downtown Raleigh. This brochure highlights Capital Bank Plaza’s amenities, features and tenant benefits.